Laryngopharyngeal reflux (LPR) results from influx of stomach contents into the upper airway. Affected individuals complain of multiple laryngopharyngeal and respiratory symptoms, which are non-specific and clinically confusing. As a result, LPR is notoriously difficult to diagnose. We still lack reliable testing methods, and there are no agreed diagnostic criteria for this condition. Consequently, LPR is often underdiagnosed and undertreated in spite of being a very common and often disabling condition. Conservative measures, which include pharmacotherapy, lifestyle, and diet modifications, are often not helpful. In such cases, surgical intervention may be the final viable option. Peters JH, Demeester TR. Gastroesophageal barrier. 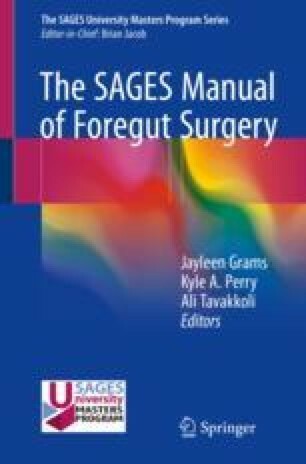 7th ed: Shackelford’s Surg Aliment Tract; 2007. https://doi.org/10.1016/B978-1-4377-2206-2.00015-4.